Press Releases « Secat, Inc.
Secat, Inc. recently signed a contract with Alexin, LLC to provide metallurgical services for their Bluffton, IN Aluminum extrusion ingot production facility. Alexin, LLC is a cutting edge, aluminum extrusion ingot production facility in Northern Indiana. Alexin’s expertise is recycling Aluminum extrusion and consumer scrap to produce high quality aluminum extrusion ingot. Alexin’s aluminum extrusion ingot has set a new standard in quality and extrudability. In striving to continue producing high quality aluminum products, Alexin, LLC had teamed up with the aluminum technology experts at Secat, Inc. Secat specializes in aluminum research and will assist Alexin, LLC with all aspects of manufacturing that they conduct in their Bluffton IN, facility through the end of 2014. 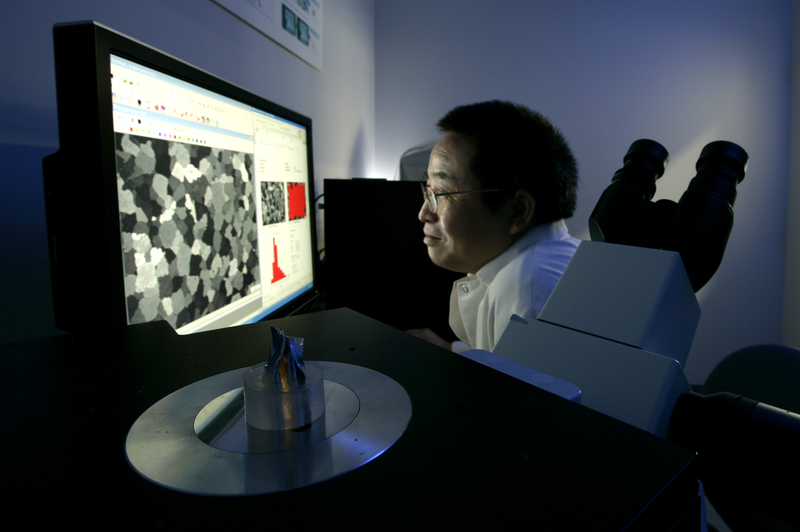 Secat is world renowned for aluminum testing, aluminum research, failure analysis, product development, alloy development, and the enhancement of processes and properties. Secat is located in Lexington KY.
Secat, Inc. of Lexington KY recently inked an annual contract with Ohio Valley Aluminum Company to provide metallurgical services for their Shelbyville, KY aluminum billet manufacturing operations. Secat has signed on to be their “Go To” team for technical support in OVACO’s aluminum manufacturing processes. Secat specializes in aluminum technology, and will assist OVACO with all aspects of manufacturing that they conduct in their Shelbyville Ky facility – from casting to homogenizing aluminum. Secat is world renowned for aluminum testing, aluminum research, failure analysis, product development, alloy development, and the enhancement of processes and properties. They are located in Lexington KY.